Announcing Colony’s Square Deal Enclosed Trailer With An All Tube Frame (A-frame, Cross Members, Main Frame, Wall Post, And Roof Bows). Call Us Today At 866-618-2186 !!! 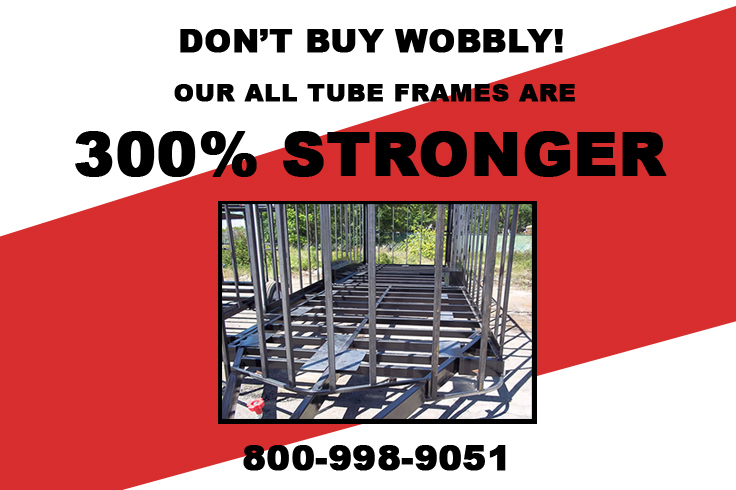 We’re Not Like Most Dealers Out There…We Want You To Have The Best Trailer At The Best Price!! We Have So Many Satisfied Customers And They All Agree…We Are #1 In The Trailer Industry!!! Don’t Hesitate… Get Yours Today!! !